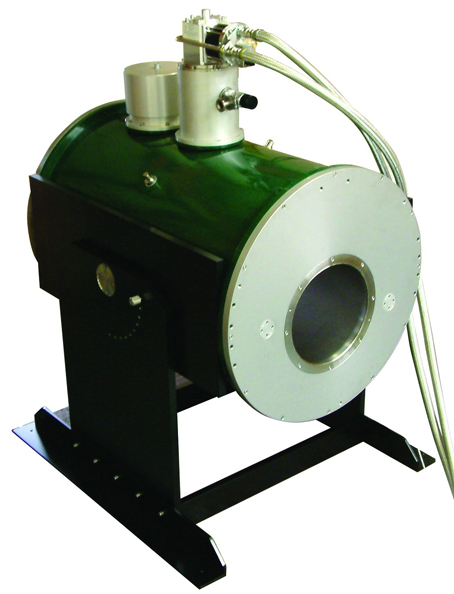 The cryomagnetic system contains the cryogen free room temperature bore superconducting magnet, cryostat, cryocooler and compressor, temperature monitor unit (nominally Lakeshore) and HTS current leads. 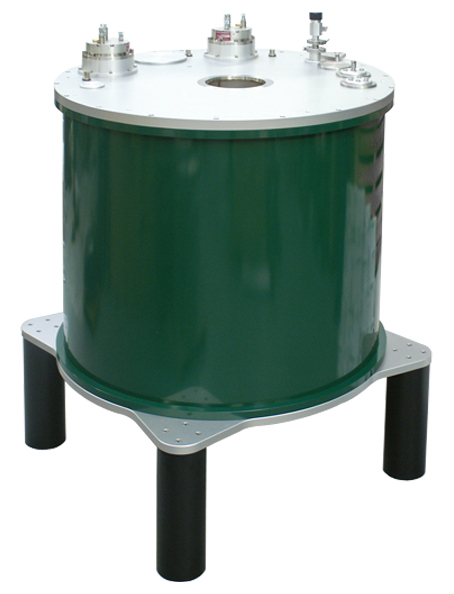 The cooling for the magnet and cryostat housing is provided by a standard cryocooler with a base temperature of 4K. 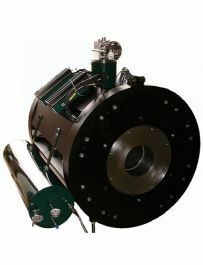 The magnet is designed to operate safely at the guaranteed field without quenching. The complete CFM system is fully tested at Cryogenic Ltd prior to shipment. 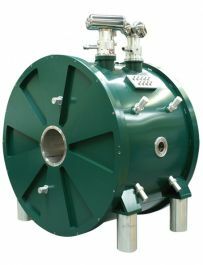 No special equipment is needed nor previous cryogenic experience is necessary to operate the system. 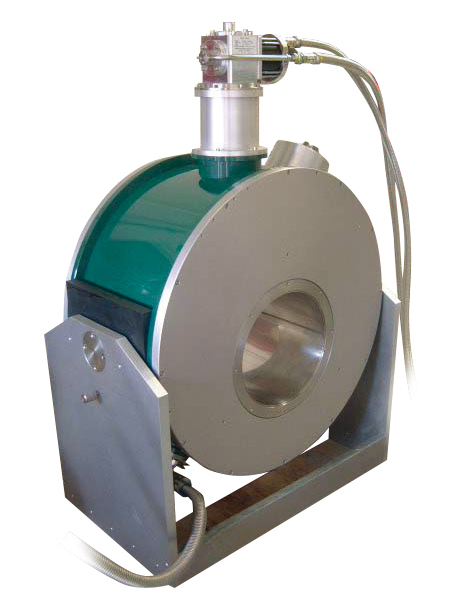 The magnet is protected against damage due to accidental quench whether this is caused by exceeding the operating temperature of the magnet or by exceeding the critical current of the assembly. To provide this protection the magnet is divided into a number of separately protected sections. Where appropriate, an external protection circuit may be fitted in addition to the energy absorber circuit in the Cryogenic Ltd SMS power supply used in this system. The cryocooler provides up to 1.5W at 4K and more than 30W on the 40K stage. Sufficeint to cope with the heatloads experienced in general operation. Initial cooldown from startup at ambient temperature to operating temperature typically takes from 24 to 36 hours, depending on the system specifications. No liquid helium or nitrogen is required. Low operating costs as liquid helium is not required – even at start-up. No cryogen transfers to organise and carry out. Fast measurement facility with rapid change of magnetic field. Modular open software, allowing access to individual routines with the potential to replace computer components and systems at a future date. 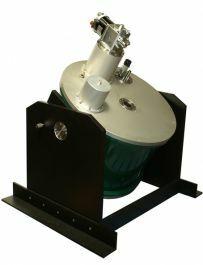 All magnet and cryostat technology manufactured in-house. High quality electronics from well-established producers, such as the Lakeshore, Keithley, and Stanford Research Systems. All units provided with the system are very reliable and easy to maintain, replace or upgrade at a later date.